Sorry about the delay of review lately. I was quite busy the last two weeks as Chinese New Year is always the BIG thing in the house, not to mention it was especially busy for me this year. Anyway, I want to thanks Uncle Wilson @ Jaben.net for both of the samples. 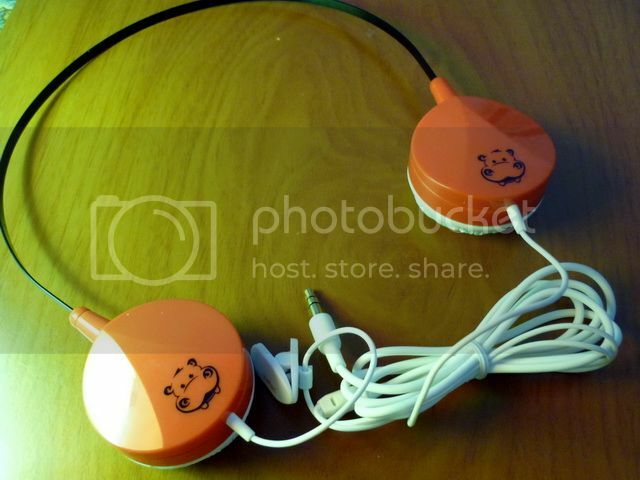 They are the lower entry headphones of the Hippo's line-up. 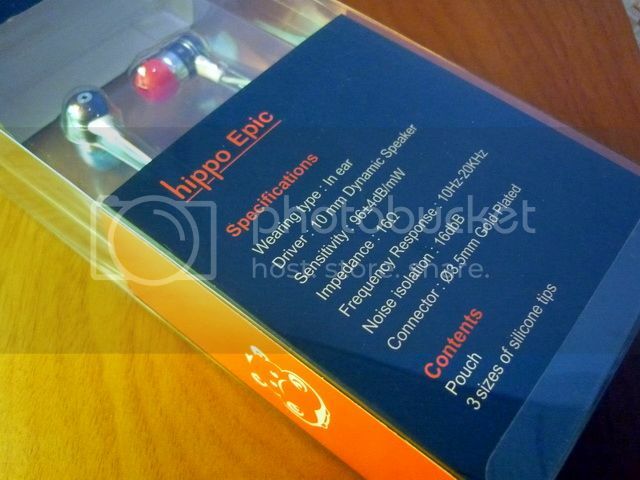 The orange and black theme is trademark of all Hippo headphone, but unlike the other Epic comes in a blister packaging. 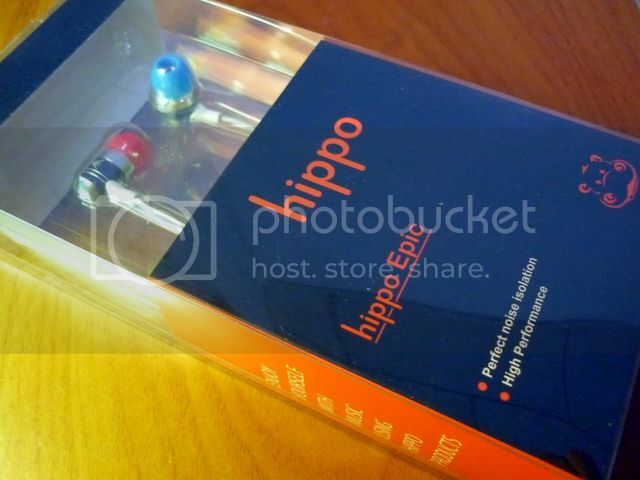 Being the entry level of Hippo IEM, there isn't much accessories to speak of - just a soft pouch and the colorful sets of silicone eartips. Build quality wise, Epic is solid but nothing extraordinary. 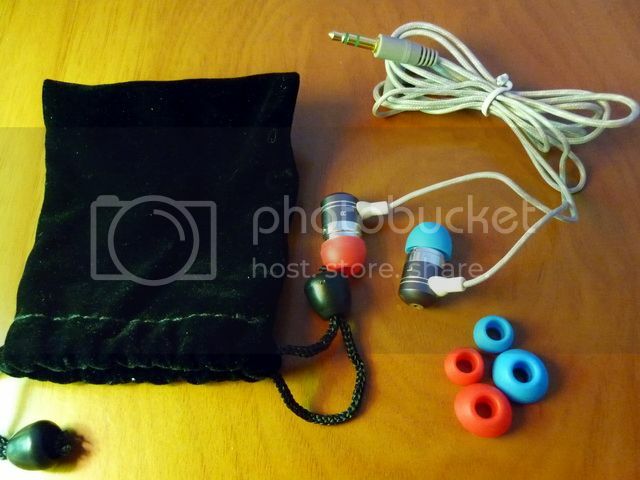 The earpieces are very common housing found on many other Chinese IEM, but the cable is fabric knitted and a little better than just typical rubbery type. 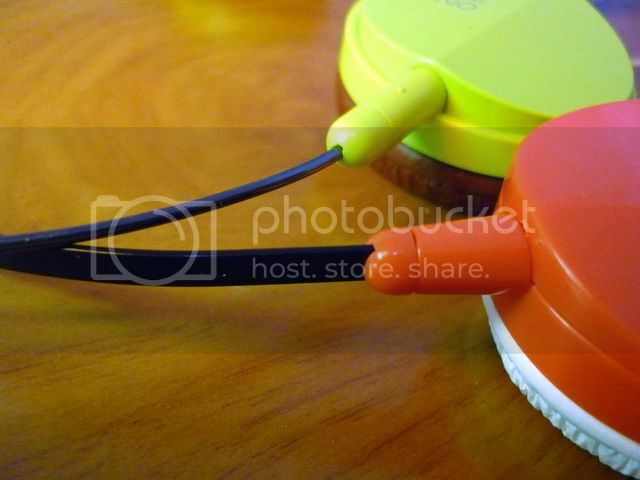 Though having a better durability, fabric cable is also known to have more microphonics problem than rubber cable. If you are picky about microphonics, I would suggest a shirt clip to 'anchor' the cable so it won't rub against your clothing too much. Being a semi-opened IEM, isolation isn't a strong point of Epic. 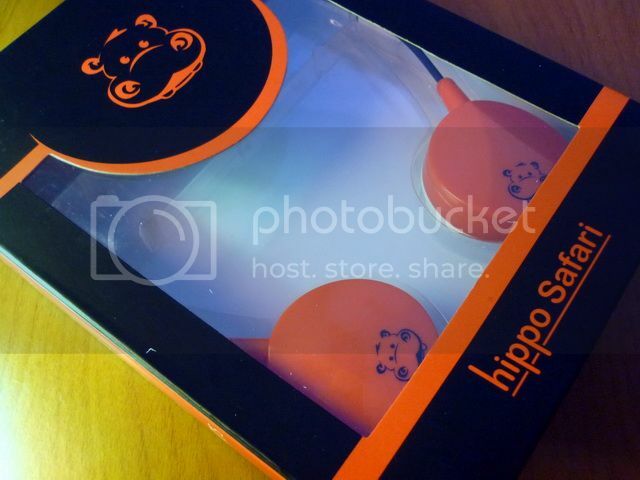 Safari's packaging also in orange and black theme. Safari was described as a 'fun' little headphone to have - it is not to say it is particularly fun sounding, but rather the headphone itself is more targeted toward casual listener instead of serious audiophiles. There is no accessories except for a shirt clip. Build quality is also solid. 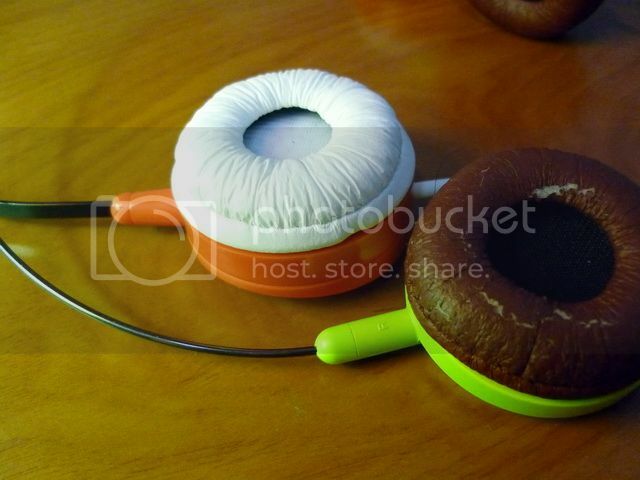 You might have noticed it looks a lot like Audio-Technica ONTO headphones. It is no doubt being inspired by ONTO. The transducer housing is almost identical, but the head band is different. Safari has a real 'band' instead of ONTO's seamless headband, which is more like a metal wire. Safari (orange) and ONTO (lime green). Epic has a familiar sound signature as Hippo Boom - warm, mid and bass centric, and not very detail, except Epic is more mid forward, grainier and less refined on the vocal and treble region, plus it is less punchy on the bass department and lesser in soudnstage. Overall it is a more balanced sounding than Boom, but also a little bit more edgy. 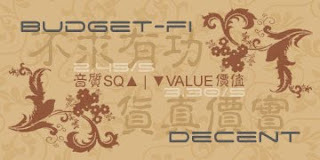 The listed price is around US$48, which is a little more than Boom. I still prefer Boom smoother, bass oriented performance a little more, but it is close enough that I would call it a personal choice rather than clear cut winner / loser. ONTO is showing sign of old age due to regular use. I guess it is fair to compare Safari to ONTO when it comes to sound quality. After all, one is inspired by the other, not to mention they are priced quite closely (should be around US$25 or so locally in Singapore). 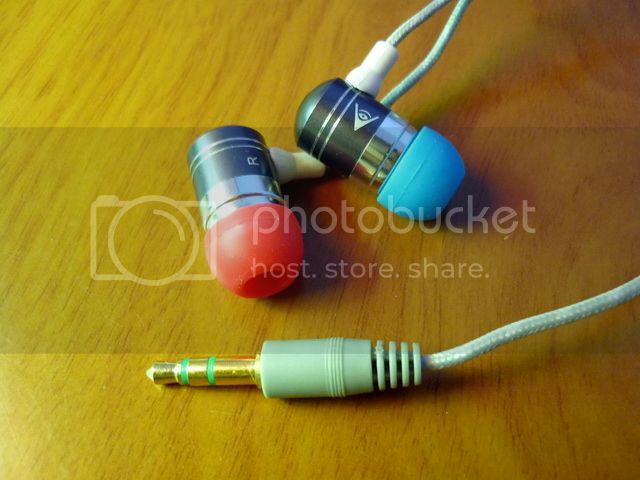 Quality wise, they are close, but in completely different sound signature. The original ONTO is more detail oriented with decent treble to mid performance and a balanced to cold sound, while Safari is more mid to bass oriented with a warm sound. ONTO is more accurate on detail reproduction and Safari is much punchier on the bass and musical. In the end, neither are really that great sounding as far as portable headphones is concerned, but given their price point I don't think you can't really expect much more from them, especially if you consider KSC75, arguably one of the cheapest good sounding portable headphones you can buy in U.S., is a little over twice as expensive in this part of the world. 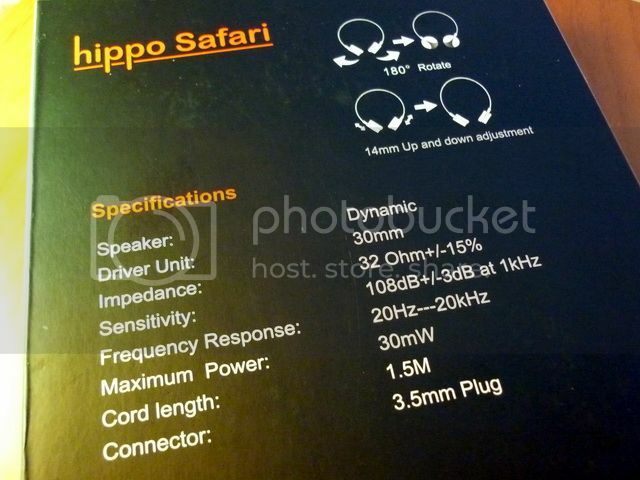 I think it goes without saying that both Epic and Safari isn't going to be the best sounding headphones in the market. They are however more of a decent products aiming toward the budget buyer / non-serious listener. I haven't seen both of them sell being sold online, but if you are interested, you might want to drop an email /give a call to Jaben.net or check out their regional offices. They are expending their business to Malaysia and Indonesia (and maybe Portugal?) with new stores opening soon. This ranking is for Hippo Epic only. Please visit the list for a more completed overview. [EDIT] The review has been updated to reflect the price. 24th Feb 2010.